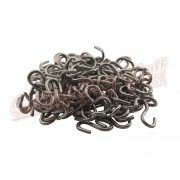 .226 thick, just over 1/4″ – Heavy Duty Steel Construction. We carry many other garage door sprockets, several for various brands and models of garage door opener sprockets. This sprocket is typically used on a soled keyed garage door shaft. Can be used on tube shafts. When used on tube shafts it is advisable to fill the tube shaft with a steel or wood dowel in the area of the sprocket and through bolt the sprocket. 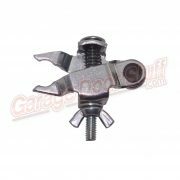 Drill through the sprocket and shaft and install a bolt, hardened bolt if needed, through the shaft. 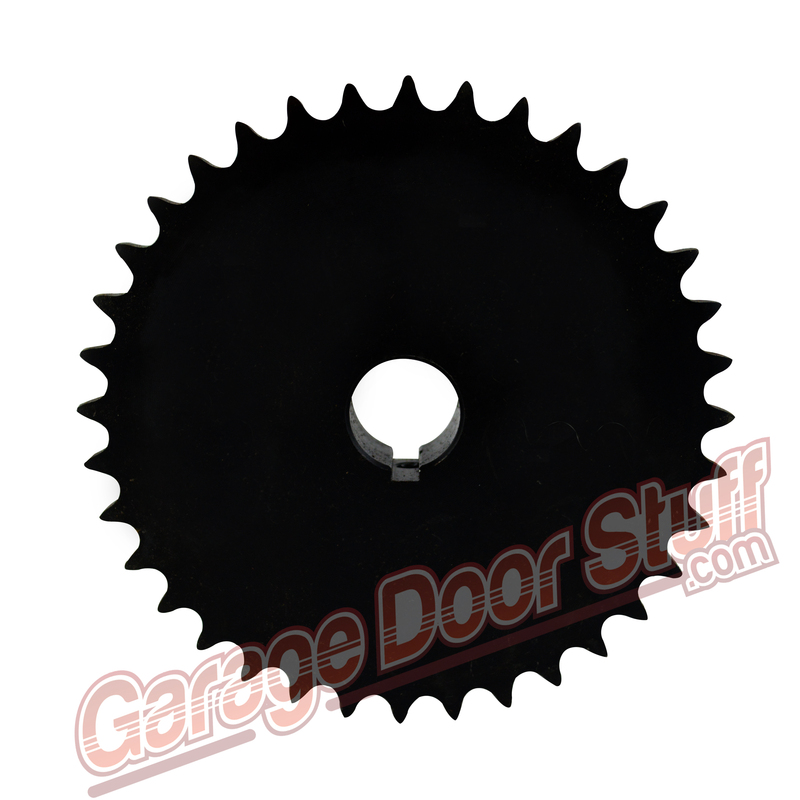 Installing filler into the tube shaft will greatly strengthen the shaft and through bolting will give a nice secure union of sprocket to shaft. 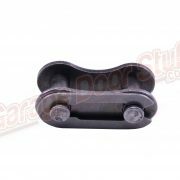 Many doors have tube shafts and using this method will allow you to use a chain hoist or side mount jackshaft opener. 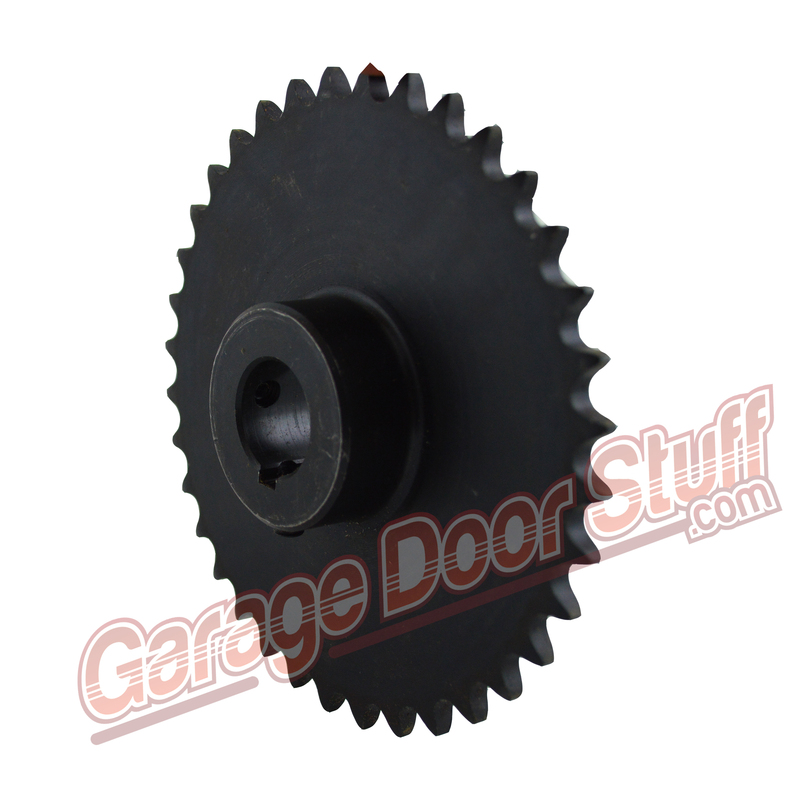 Many uses, can be used for parallel spring assemblies, connecting side mount garage door openers, as a garage door jackshaft sprocket and attaching chain hoists. Long lengths up to 100 continuous lengths. 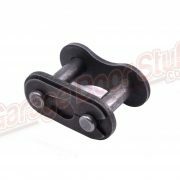 Chain and links in, Steel, Nickle and Stainless Steel. If you have a special needs situation or project and need multiple items and are having trouble location them on our site, please call or email and we will be glad to help. We also have no problem with special orders and have many vendors to work with.